Not all risks impact all the fund schemes. 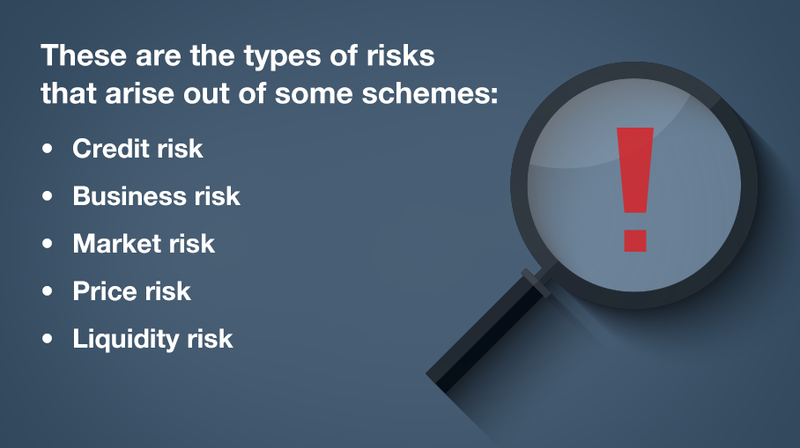 The Scheme Information Document (SID) helps understand which risks apply to your selected scheme. So how does the fund management team manage these risks? It all depends on what type of investments the Mutual Fund has invested in. Certain securities are more sensitive to certain risks and some are exposed to some other. Professional help, diversification and SEBI’s regulations help mitigate risks in Mutual Funds. Finally, and the most important question that many investors have asked: Can a Mutual Fund company run away with my money? This is just not possible given the structure of Mutual Funds as well as the strong regulations.